SBMI's Student Governance Organization (SGO) will host the first PASS Day on Oct. 27 for all current students. PASS stands for Planning for Academic Success at SBMI. During the event, students will work with SBMI faculty and staff to explore health informatics career paths and academic preparation for various pathways and work on resume building via a presentation and one-on-one resume consultations. Free lunch will also be provided for participants. After PASS Day, all SBMI students are welcome to attend the Fall 2017 SBMI Student Town Hall at 3 p.m. in UCT 1414. In order to attend, SBMI students must RSVP online. Members of the SBMI Community have recently achieved noteworthy accomplishments and we want to recognize them. In Sept., Cui Tao, Ph.D., SBMI associate professor, traveled to East Hanford, Conn. for the 2017 US Frontiers of Engineering (USFOE) symposium hosted by the National Academy of Engineering (NAE). Symposium attendees are engineers between the ages of 30 and 45 who are performing exceptional engineering research and technical work in a variety of disciplines and attendance at the 2.5 day USFOE symposium is by invitation only. Click here to read more. SBMI Ph.D. Student & SGO Treasurer Carlos Pérez Aldana was recently awarded a scholarship from the Houston Chapter of HIMSS. Anwar Mohammad Sirajuddin (also known as Siraj) MBBS, MS, CPHIMS is an SBMI alumnus and adjunct assistant professor. Siraj is also Memorial Hermann's Associate Chief Medical Information Officer and he was recently named a 2017 Cerner Physician All-Star Award recipient. Siraj earned the award because of his leadership and work around enhanced patient safety from use of the Cerner Clinical Decision Support System. 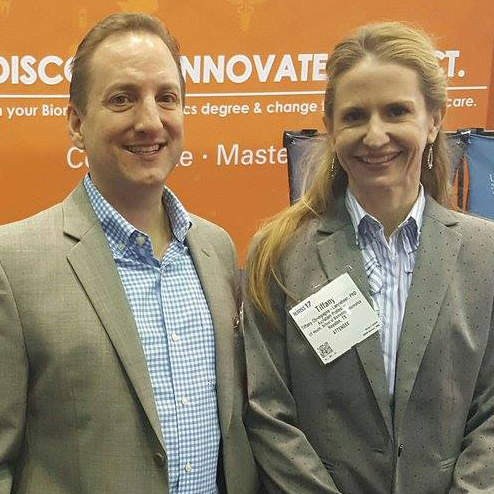 Jim Langabeer, SBMI Professor, and Dr. Tiffany Champagne-Langabeer, SBMI Assistant Professor were awarded a grant in late Sept. from the City of Houston to work on developing expanded telehealth capabilities within the Houston Fire Department. The grant is worth $100,000. Langabeer and Champagne-Langabeer had an article titled “Obesity, Treatment Times, and Cardiovascular Outcomes Following ST-Elevation Myocardial Infarction” published in the Journal of the American Heart Association recently. They also worked with SBMI Assistant Professor Juliana Brixey, Ph.D. and a SBMI alumnus, Andrew Winburn, to publish an article in the Journal of Telemedicine and Telecare. That article is titled "A Systematic Review of Prehospital. Telehealth." 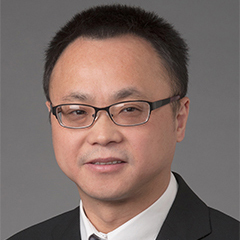 Professor Xiaobo Zhou, Ph.D. was awarded a grant worth over $3.2 million in late Sept. by the National Institute of Arthritis and Musculoskeletal and Skin Disease. 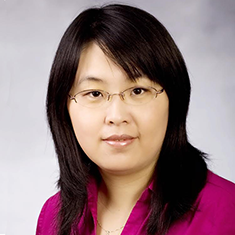 Dr. Zhou will be working on a systems modeling guide for bone regeneration. SBMI Alumnus Ashish Joshi, Ph.D., MBBS, MPH recently co-authored a new book focused on population health informatics. The book is available online for purchase. 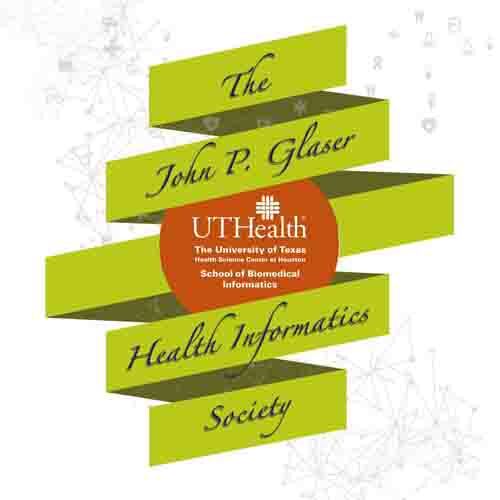 On Oct. 30, the John P. Glaser Health Informatics Society will award Dr. David Westfall Bates with the 2017 John P. Glaser Health Informatics Innovator Award. The John P. Glaser Health Informatics Society was established in 2016 by SBMI in recognition of the expertise and leadership of Cerner’s SVP of Population Health, John Glaser, Ph.D., who is a universally recognized thought leader in the field of health informatics. The Society was created to recognize innovators in the field of health informatics and provide education, collaboration and networking opportunities for the broader community of health informatics professionals, clinicians and students. This year’s recipient is David Westfall Bates, M.D. Bates serves as a chief of the Division of General Medicine and Primary Care at Brigham and Women's Hospital, medical director of Clinical and Quality Analysis at Partners HealthCare System, Inc.,professor of Medicine at Harvard Medical School and professor of Health Policy and Management at the Harvard School of Public Health. For more information, call Judy E. Young at 713-500-3901 or contact her via e-mail at: Judy.E.Young@uth.tmc.edu. The Archer Graduate Program in Public Policy allows graduate students from UT System schools to spend the summer in Washington, D.C. working with the organization of their choosing based on their professional & academic goals. In addition to their internship/practicum experience, students will also take public policy courses as part of the program. The application deadline for the summer 2018 program is Nov. 7. If SBMI students are interested in applying, they can review the online application and contact Sam Neher from UTHealth’s School of Public Health for more details. Several SBMI faculty and staff members will be traveling in the coming months to attend conferences and promote our degree programs. We invite any prospective students or alumni in the area to visit us during these events. Professor Jim Langabeer, Ph.D was interviewed by KTRH NewsRadio earlier this month. The story focuses on the growth of telemedicine as health insurance providers push for expanded use of the services. Dean Sittig, Ph.D., SBMI professor, was recently quoted in a Reuters news service article on a new study that explores why most hospitals cannot share electronic health records.